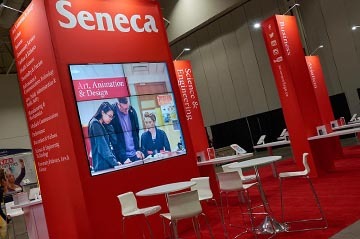 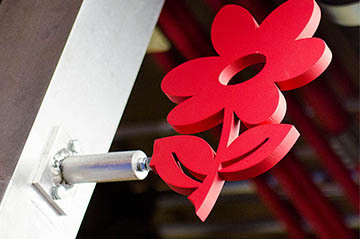 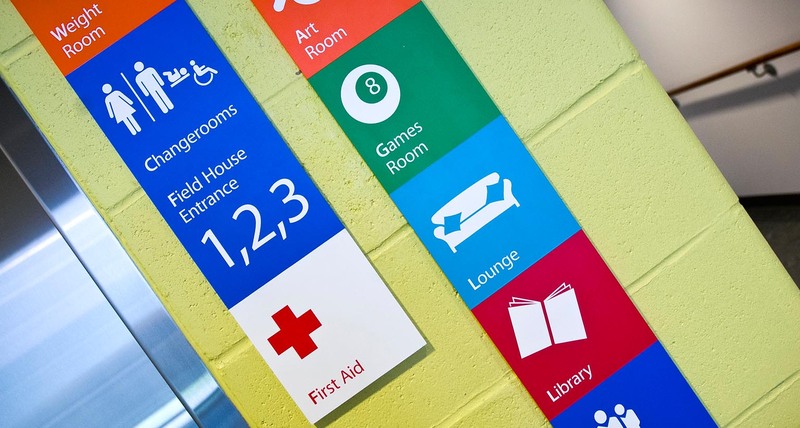 Shikatani Lacroix designed an intuitive and memorable wayfinding program that suits the abilities of all users. 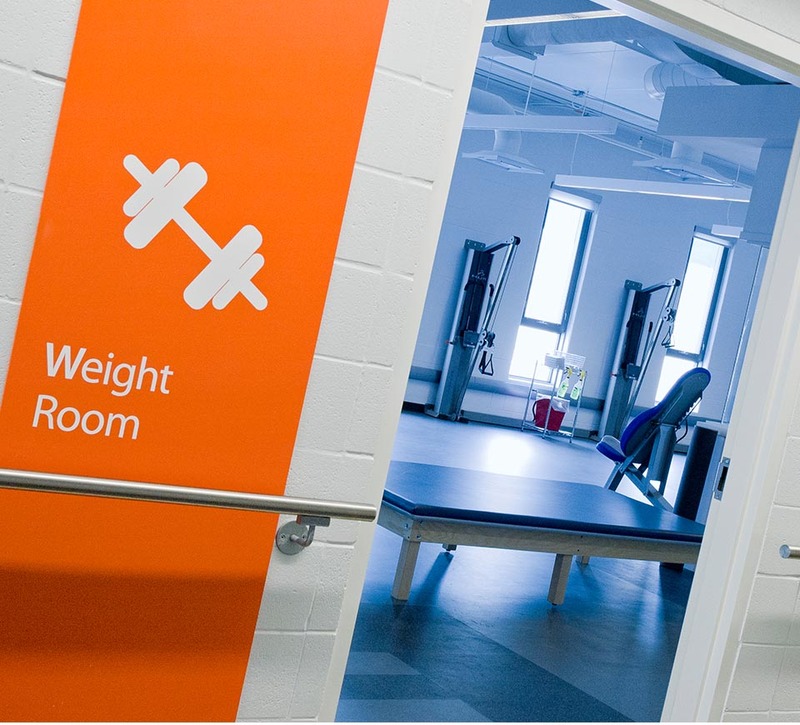 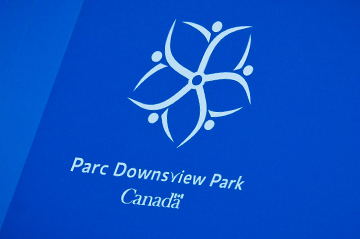 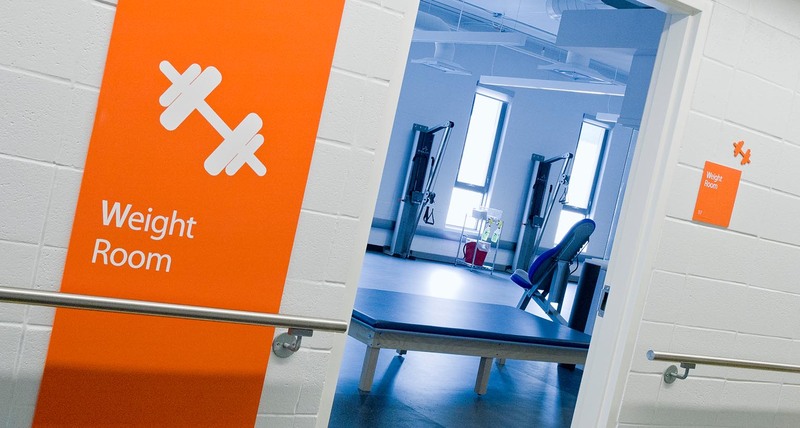 The Town of Whitby’s new Abilities Centre is a world-class recreation, athletic and performing arts facility that is fully accessible to persons of all ages and abilities. 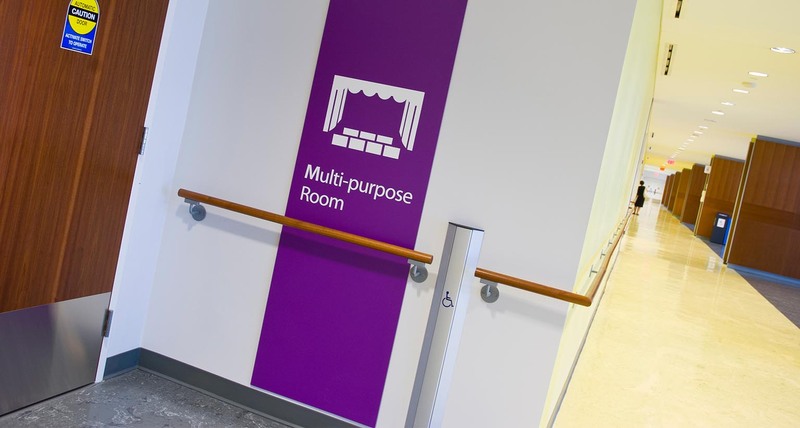 Shikatani Lacroix’s goal was to design a wayfinding program that not only simplifies the user experience with accessible signage, but also surpasses the user’s expectations by creating an experience that truly welcomes, includes and empowers all users. 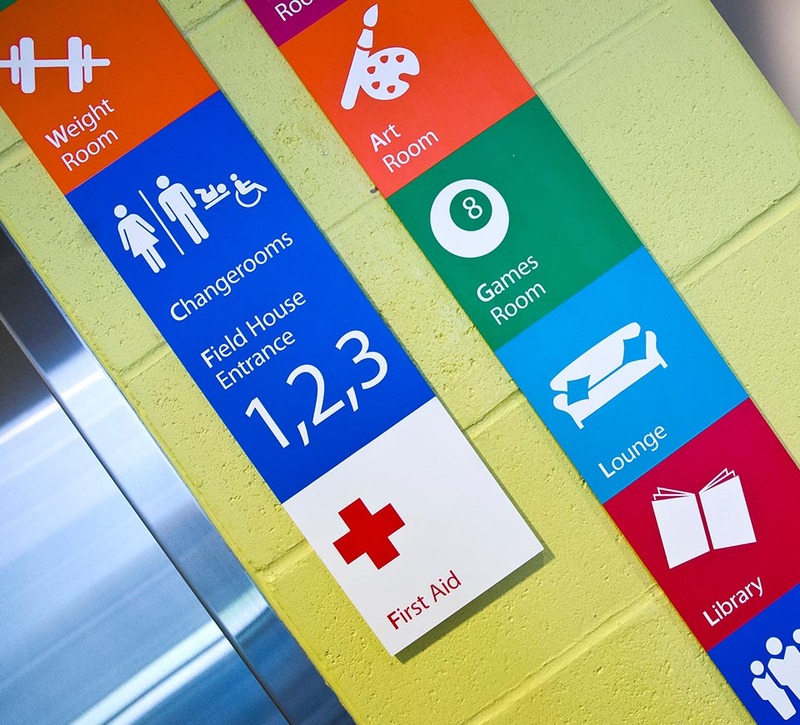 Since the cognitive and physical abilities of all users range dramatically, Shikatani Lacroix created a straightforward wayfinding strategy that consisted of three main tools: type, icons and color coding. 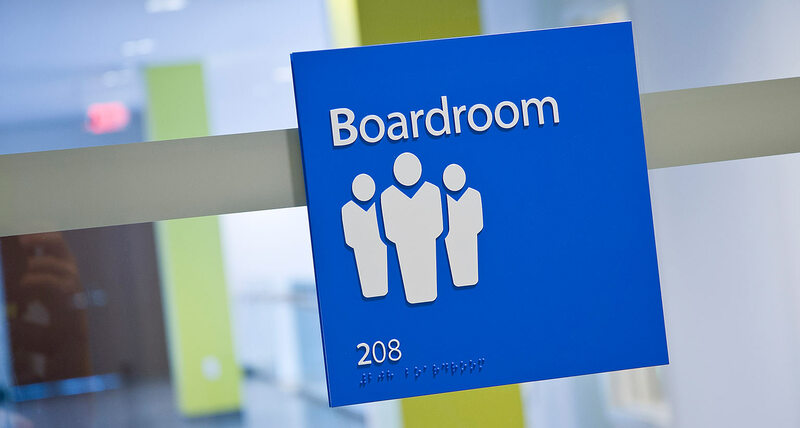 Signs were designed for legibility and to be read by touch through the use of tactile type and Braille. 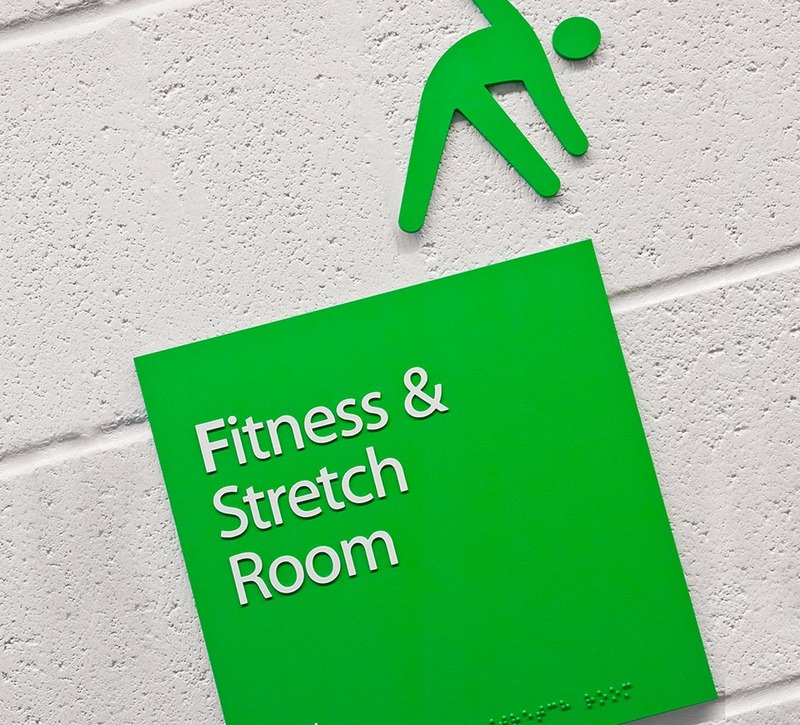 Universal pictograms were added for instant visual recognition. 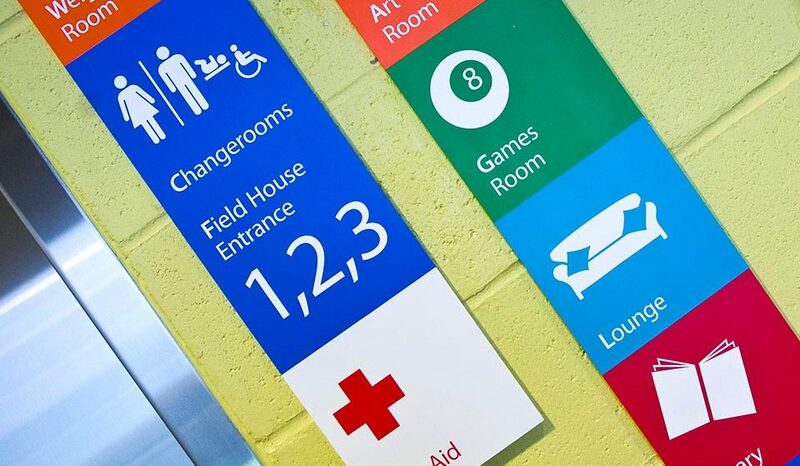 Color was used to code different areas to make the wayfinding experience intuitive and memorable. 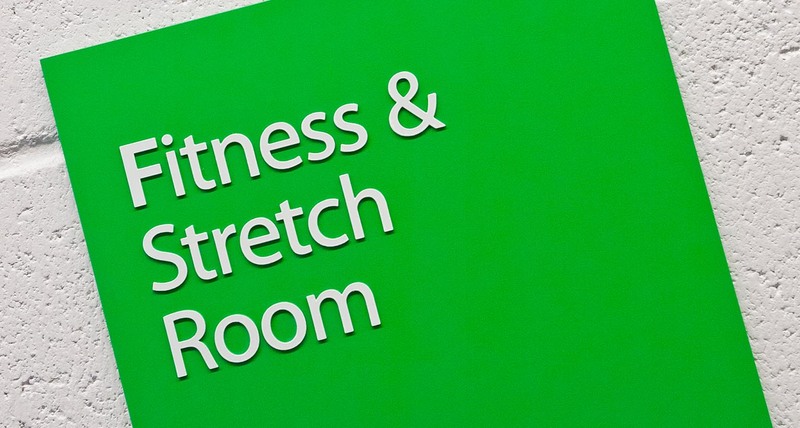 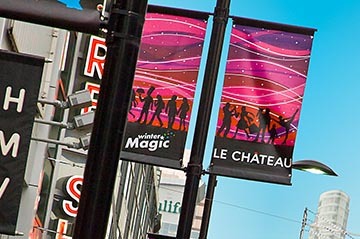 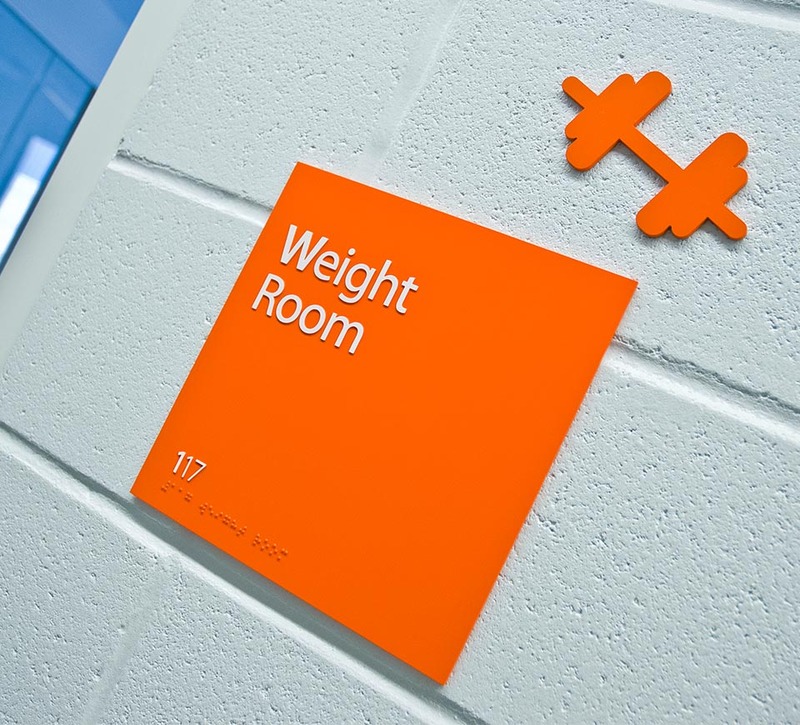 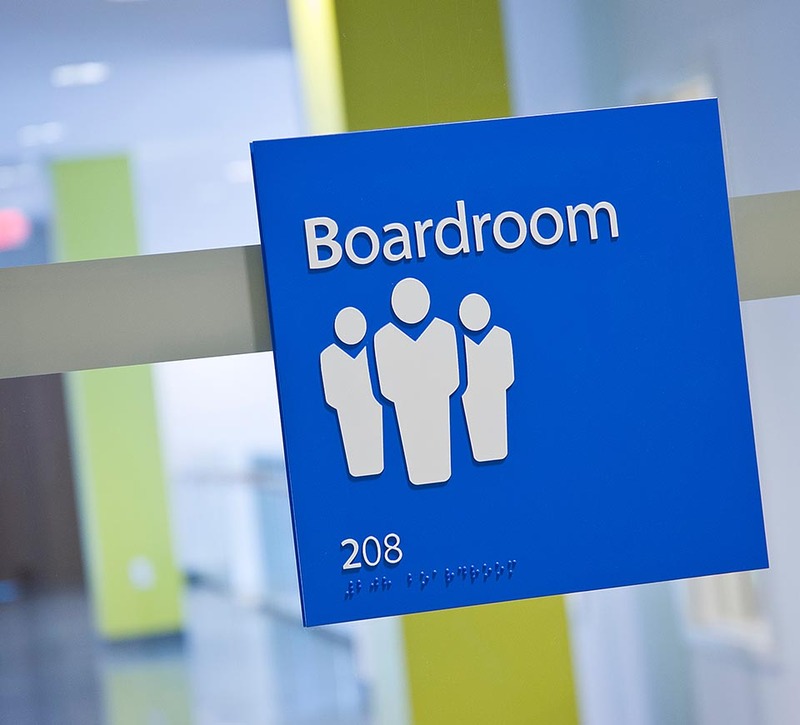 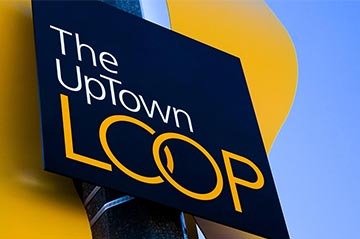 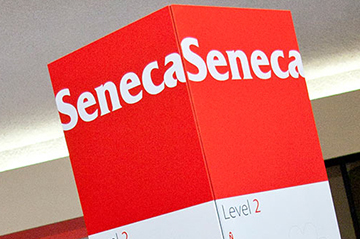 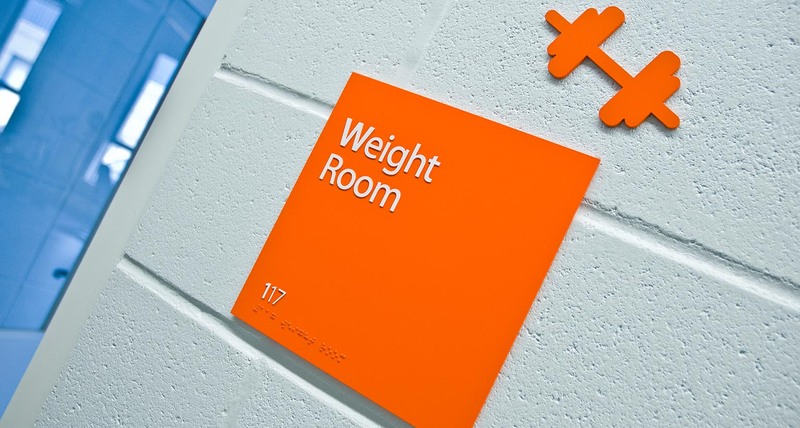 Sign types include wall and door signs, wall-mounted elevator directories and directional signage, and flag-mounted amenity signage. 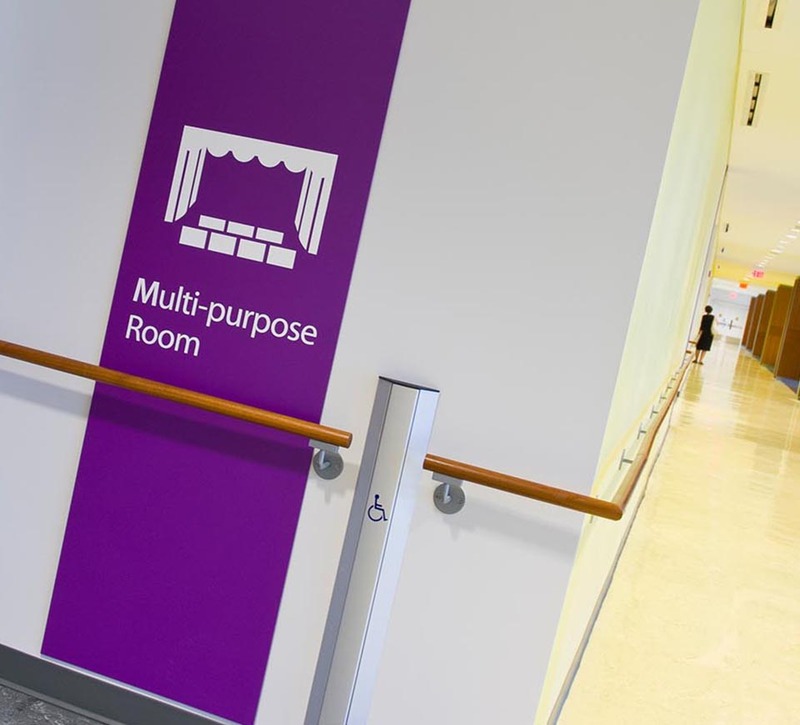 The wayfinding system upholds the center’s mission to improve the quality of life for individuals of all ages and abilities by enhancing the visitor’s experience at this inclusive, 125,000-square-foot, multi-purpose facility.